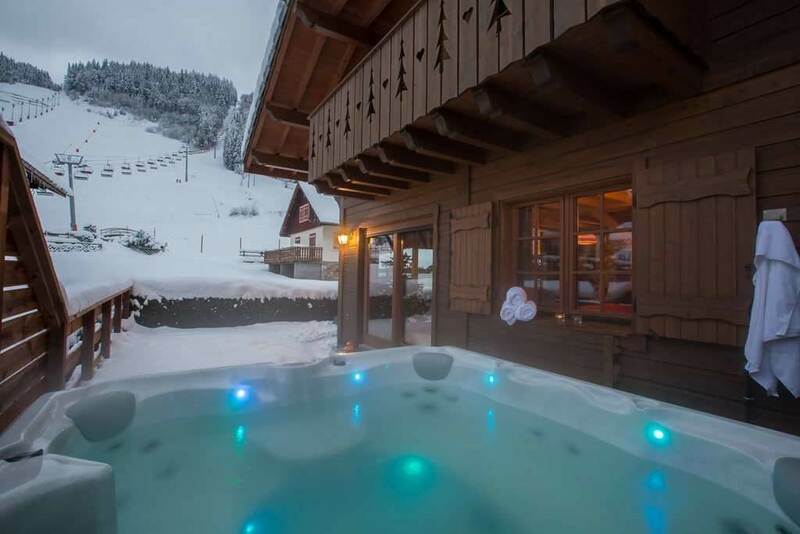 Let’s face it, EVERYONE loves a bubbling hot tub on their ski holidays in Morzine. The kids, the adults, the nanny, granny & grandad, everyone! It’s fair to say that a hot tub, jacuzzi, or spa – whatever you call them – are a luxury at the best of times. It’s probably unlikely you’ll have one at home, so maybe you don’t use hot tubs all that often – unless you’re somewhere special. Perhaps on a spa or hotel break? But when you’re on a ski holiday, hot tubs just feel even better! It’s hard to know why, but they just do. It’s a bit like dining out tantalising the taste buds in a restaurant seems nicer than a takeaway, if you’ll excuse the analogy. 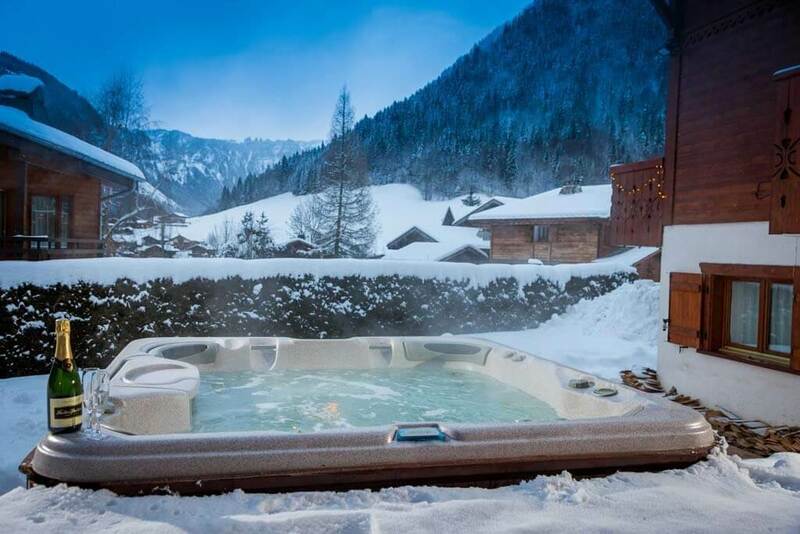 We don’t know why hot tubs are better on a ski holiday, they just are. We guess it’s one of life’s unwritten rules about chalet hot tubs! Hopefully we agree that sinking into a bubbling hot tub makes all the difference to your self-catering chalet holidays in Morzine – and the catered ones for that matter. 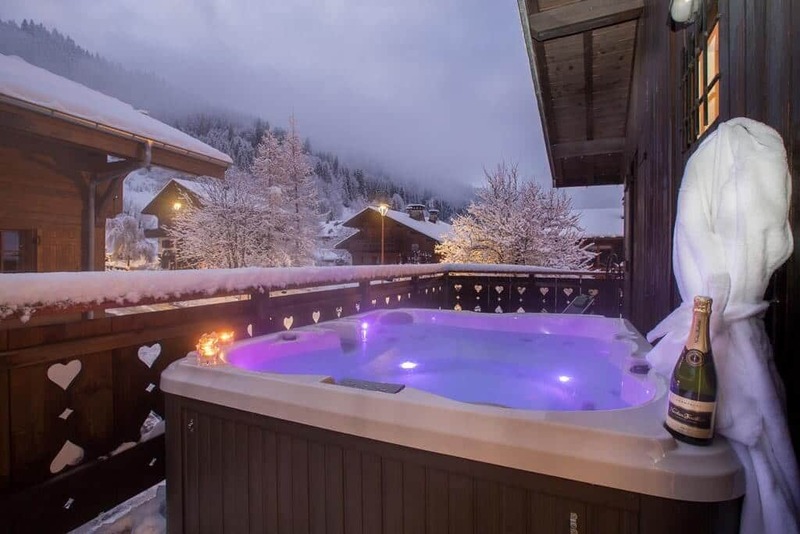 If a hot tub is a requirement for your winter holiday, which we’re sure it probably is, then we’ve got all the boxes ticked – whether you’re catered for by Simply Morzine – or staying in one of our self-catering chalets. But what about indoor or outdoor hot tubs at your ski or snowboard holiday accommodation in Morzine? Well, our research tells us that most Simply Morzine guests prefer outdoor hot tubs – and that’s why all our chalets have them (excluding Chalet Madeleine). 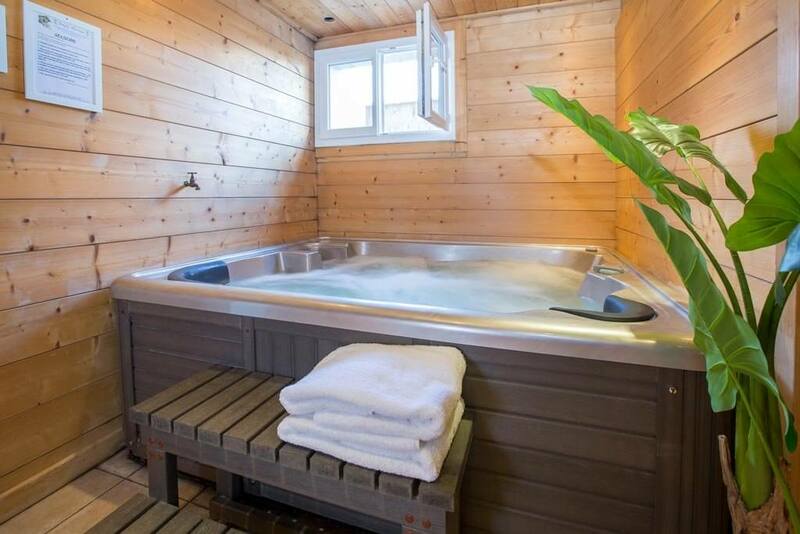 And wait for it, Chalet Central has 2 hot tubs – one outdoor and one indoor hot tub. So, if you are someone who prefers to stay inside, we’ve still got you covered! Meticulously maintained, our chalets with hot tubs in Morzine are professional-standard industrial Jacuzzis. These are hotel quality spas that are pristinely clean for your pleasure on your ski holiday. We’re sure that it’s this focus on quality, on providing the best, and of course, our great attention to detail that help keep Simply Morzine as the leading chalet company in the French Alps. Chalet des Montagnes: Our flagship catered chalet in Morzine boasts a stunning feature large outdoor spa with views across Morzine and towards Avoriaz. Views under the stars don’t get much better than this. Chalet Central: Here we have not one, but TWO hot tubs! The indoor hot tub is located in this catered chalet’s wellness area alongside the sauna, whereas the outdoor hot tub is shared with Simply Morzine guests staying next door at Chalet Petit Central and offers views of the Pleney ski slopes. Chalet Petit Central: As above, the outdoor spa at our brand-new self-catered accommodation in Morzine centre looks towards the Pleney mountain and is shared with guests at Chalet Central. Chalet Coeur de Morzine: This self-catered chalet’s luxury outdoor hot tub is situated in an elevated position on the top terrace, from where Simply Morzine guests can admire the beautiful mountain views. Chalet Carving: Catered Simply Morzine guests enjoy our brand new luxury hot tub affording majestic views of the Pleney ski slopes. Watch skiers and snowboarders returning to Morzine from the best viewpoint in the resort. So if you’re planning a ski holiday in Morzine then we hope you’ll agree that an outdoor hot tub has to be high up on the priority list. If you’d like to chat about any of our catered or self-catered chalets that have hot tubs in Morzine, then please jump in and get in touch with us today.